Get inspired by the customization options and impressed by the superior quality of our materials! Experience our variety of finish and closure options first-hand with our idea kit. Jonesville Paper Tube Corporation is one of the leading paper tube manufacturers across a variety of retail and industrial applications. Whether you need a standard or customized tube, we can create exactly what you need, at a price that’s right. All of our products are made from 100% recyclable paper. Our experts can help you with everything, from conception to completion. Jonesville Paper Tube Corporation is a great company to work with! I was impressed with their hands-on staff and organization. The company has a great family atmosphere, and Jim is awesome to work with. Jonesville Paper Tube Corporation goes above and beyond. I would highly recommend them to anybody! They are compassionate and understand that everything does not always go as planned. In all the years I’ve been working with them I’ve never had a quality issue, and everything has always arrived in a timely manner. Overall, Jonesville Paper Tube Corporation was easy, comfortable, professional and fun to work with. I was so confident with the relationship I had built with them I did not feel the need to look at other suppliers of my diploma paper tubes. Being able to customize the inside of my packaging was very important. It shows customers that the same attention to detail was used for every aspect of the product, even the package. Founder & Creator, Kindred Skincare Co. Stand out from the competition with a high-quality package customized just for your product. 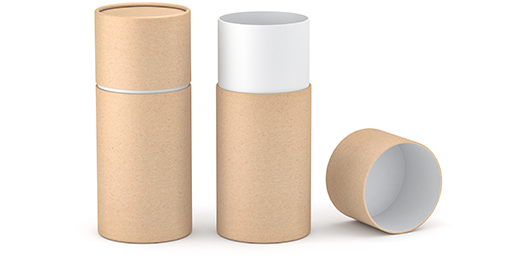 Our reusable, low-cost paper tubes are ideal for industrial use, especially paint masking, tool protection and electrical insulation. Upgrade the way your university presents diplomas with a better option that’s cost-effective, safe for mailing, and suitable for long-term storage.